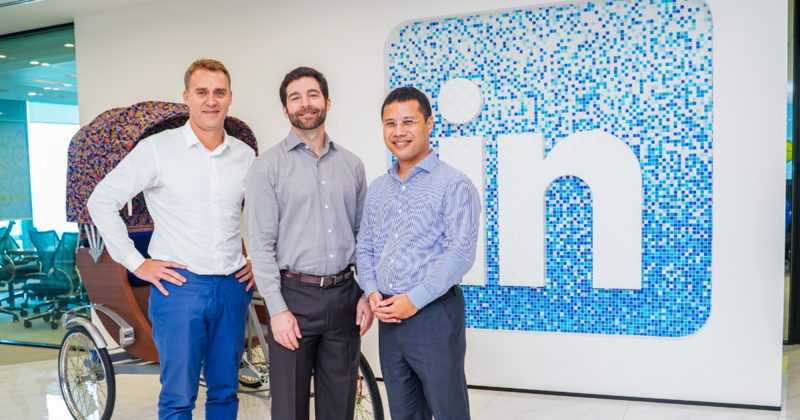 It was announced yesterday (14 November) that LinkedIn has partnered with the Ministry of Social and Family Development (MSF) to connect over 2,000 disadvantaged job seekers to opportunities, resources, and networks. This is an extension of the LinkedIn Coaches global programme and the partnership is taking place for the first time in Singapore. The National Council of Social Service (NCSS), SG Enable, Singapore Corporation of Rehabilitative Enterprises (SCORE), Employment and Employability Institute (e2i), Institute of Technical Education (ITE), and other non-profit organisations are also part of the collaboration. They will reach out to disadvantaged job seekers, who are out-of-work Professionals, Managers, Executives and Technicians (PMETs), rank-and-file workers, ex-offenders, persons with disabilities, and youths, and link them up with industry mentors and recruiters. The pilot programme will commence from January 2019, and job seekers will go through a half-day career coaching workshops throughout the year. Yesterday’s launch saw the first 12 participants experiencing first-hand coaching sessions with 12 mentors from LinkedIn. Minister of Social and Family Development, Mr Desmond Lee, who attended the launch, found this private-public partnership “meaningful” and encouraged more of such partnerships to come forward as a way for corporates to contribute to our society. “This collaboration supports individuals and families – especially young people – from disadvantaged backgrounds by providing them with skills, opportunities, and networks to change their lives for the better,” he shared.